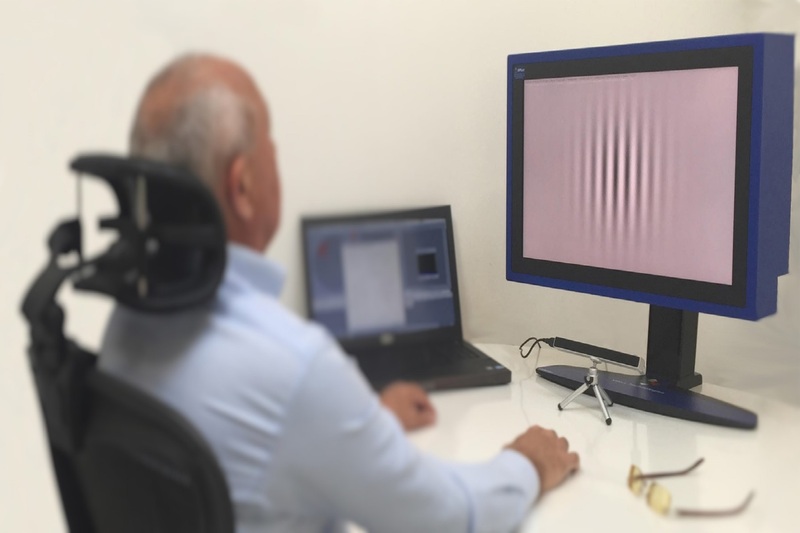 We have integrated the best display and response technology with easy to use control software to create a complete psychophysical vision testing system. It is hands-free, non-invasive or intrusive for the subject. It is easy to learn and use for the researcher. Results are rapid, reliable, and objective; which can be obtained from people of all ages young and old. Uses all the latest eye tracking controllers, high speed thresholding algorithms, and image rendering methods. Operates with ordinary computer equipment. Compatible with most psychophysics displays and eye trackers. Using gaze responses, tests can be completed in under two minutes. Compatible with 12 Bit (ViewPixx and Bits#) calibrated LCD displays for the most accurate and consistent readings. Direct measurement of visual acuity is rapidly achieved using a computer adaptive thresholding staircase. Sine-wave grating bar stimulus is repeatedly presented with varying spatial frequencies above and below threshold until a satisfactory number of reversals have been completed. Our algorithm quickly chooses the appropriate range of spatial frequences to present based on the subject's responses; saving time and reducing frustration. A comprehensive range of spatial frequencies can be presented on standard video displays while maintaining accuracy and precision. Subjects indicate their response with a joystick or button press. No verbal feedback is required. Contrast sensitivity to a wide range of spatial frequencies is automatically obtained using the same psychophysical staircasing procedure. A complete CSF curve can be obtained without interruption. Using gaze control, spatially accurate measurements can be taken in the para-foveal regions of the retina. A complete CSF curve can be obtained in minutes without interruption, even if the subject is frequently blinking. However, looking away will trigger an abort. Responses when detecting a stimulus are recorded with a button or joystick press. Controlled measurements of a select para-foveal region can be taken using our gaze aware test. Our system automatically stimulates when the subject's eye is in the correct position. Responses can be made with either a joystick/button press, or completely hands free by a quick glance to the stimulus location. Like a conventional static perimeter visual field test that is composed of dot stimuli with varying luminance, our system allows patients to respond using gaze interaction. Each area of the visual field can be thresholded independently for contrast of luminance sensitivity. Visual search for anomolies (different stimulus) can be entirely controlled with gaze responses as well. Real-time pupil and gaze monitoring allows for accurate spatial stimulation of the retina. Measure a subject's ability to detect aberrant stimuli from a field of distractors. 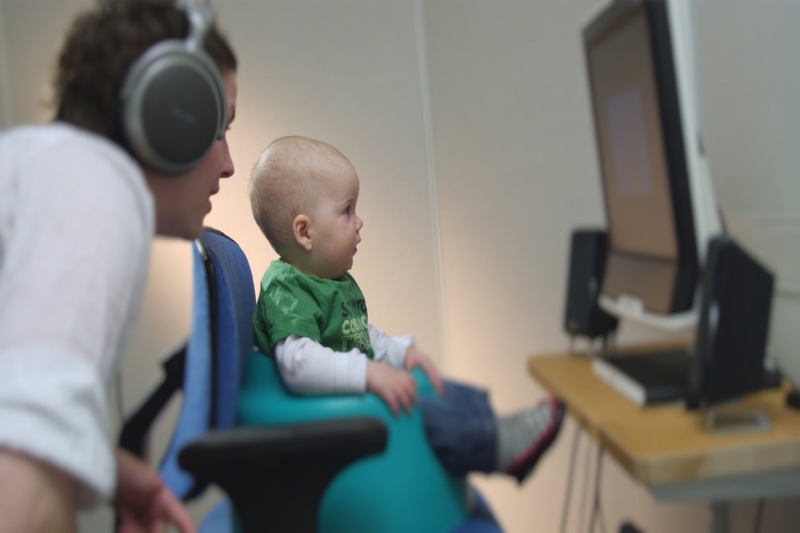 Explicitely measure and analyze their reaction times and gaze response trajectories. Subject responses are entirely driven just by glancing at the stimulus location. Results are automatically saved to disk and displayed on-line during the test. All graphs are updated in real-time. Behavioral data is stored and can be accessed off-line for post processing. All tests can record gaze data for deriving amplitudes, reaction times, and other behavioral parameters. Analyze the entire sequence of choices; hits, misses, or aborts across all trials. Measure thresholds for each test condition. Analyze the duration of each response, time to react, and correlation with stimulus type, location, and other parameters. Analyze the amplitude and velocity of eye movements, frequency of blinks, and other gaze behaviors.